I purchased you with a price. Your life belongs to Me, though I have given you free will to accept My love or reject it. Love does not demand it’s own way. Out of all the miracles God has done through anyone throughout the centuries, there is one miracle that all miracles hinge on. When you get the message in the miracle, it changes how you see things and even who you are. This miracle has to be true or all of Christianity is not real. This miracle is the deciding factor and the simplest litmus test in proving if the deity and the Gospel of Jesus Christ is fact or fantasy, truth or fable. One miracle separates Jesus from every man ever born. It is despised by the critics and reviled in demonic realms. 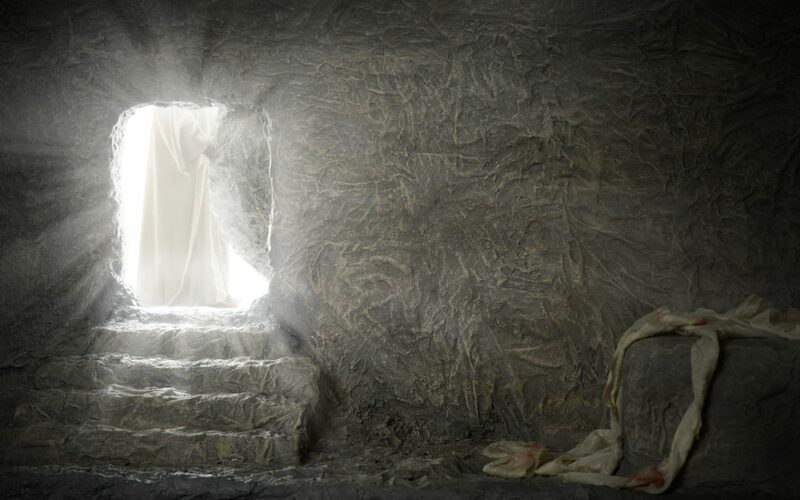 It is the miracle we celebrate every Easter – the Resurrection of the Lord Jesus Christ. You see, Jesus Christ slapped death in the face and that makes His credentials as God irrefutable. No wonder people don’t want to believe in the resurrection. If Jesus is God, then we have to obey Him! Most of us simply don’t want to. We are our own God. We do as we wish without thinking twice about the one who not only created us, but saved us. Is that you? Are you living for yourself and ignoring Christ? Have you said a prayer but never let it get into your heart that you owe your life – especially the way you live it – to Jesus? Today is a good day to remember when and how Jesus saved you. Remember the miracle of Him raising you from the dead and thank Him for His indescribable gift by living for Him.